MOSCOW (Sputnik) — Members of the Polish ruling Law and Justice (PiS) party earlier in the day claimed that Warsaw had the right to demand the reparation payments not only from Berlin but also from Moscow — on the grounds of the 1921 Treaty of Riga between Poland and Soviet Russia. 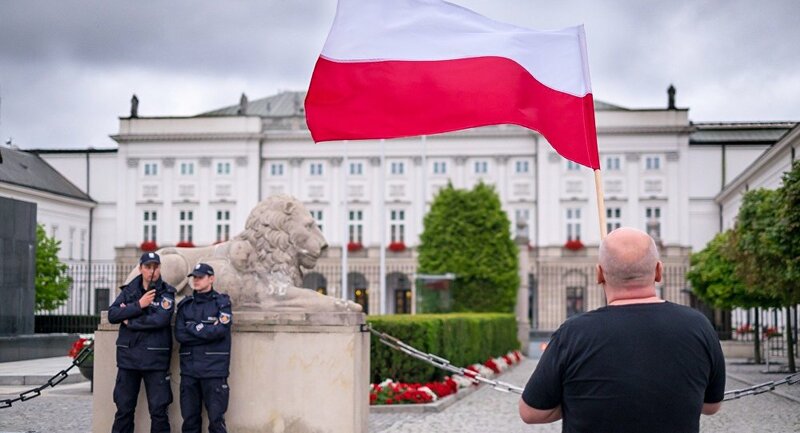 "Poland will receive no reparations from Russia. It has no right for reparations. It does not even need to start this game lost in advance," Pushkov wrote in his official Twitter blog. — Алексей Пушков (@Alexey_Pushkov) 2 сентября 2017 г. ​The lawmaker added that Poland was "preoccupied with the past and national [psychological] complexes." ​Similarly, First Deputy Chairman of the State Duma Committee on International Affairs Dmitry Novikov told Sputnik that the Russian authorities should not make official statements on the matter. "Even if they [Poland] have financial difficulties, they should solve these financial difficulties by other means," the Russian lawmaker noted. Vladimir Dzhabarov, the first deputy chairman of Foreign Affairs Committee of the Russian upper house of parliament, told Sputnik that Poland had "zero chance" to receive compensations from both Russia and Germany. He stressed that, following the same logic, Russia could ask Poland for a monetary compensation for the events of 1612 when "Polish troops invaded Russia" as well as the compensation from France for the War of 1812. On August 24, Polish Prime Minister Beata Szydlo said Warsaw had the right to demand reparations from Germany to compensate for atrocities committed during World War II, stressing that reparations would be "a reminder of justice, of what belongs to Poland."